Last night we traveled about 165 nautical miles from Gdansk, Poland across a very windy Baltic Sea to Bornholm, Denmark. I don’t know how Barnaby manages to sleep through all the rolling and pitching of this ship. I thought I might go sailing out of the bed several times, he slept like a baby. 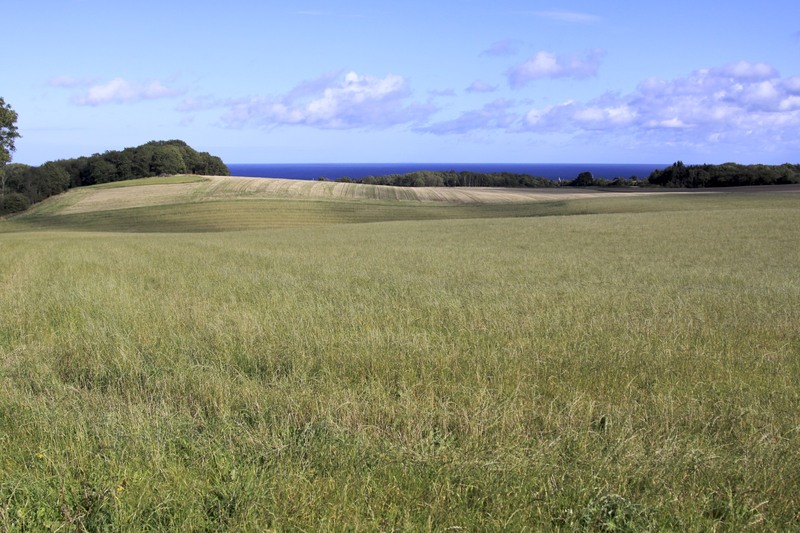 Bornholm is an island in the Baltic that is actually closer to Sweden, and through the years has belonged to Denmark, Sweden, Germany and occupied by Russia. But the locals wanted to be part of Denmark and so they are today. We were thrilled to have a lovely sunny day, though it still rained on us a little at the beginning of our outing, but ended without a cloud in the sky. We were even able to hike back to our ship after visiting the ruins of a fortress. I can’t remember if it’s the oldest or biggest ruined fortress in Europe, but it is surely one of the most striking (especially on a sunny day). Perched on a hill above the Baltic, the 13th century ruins were a photographer’s delight. Both Barnaby and I were reminded of the Falklands because of the wind — only the albatrosses were missing. 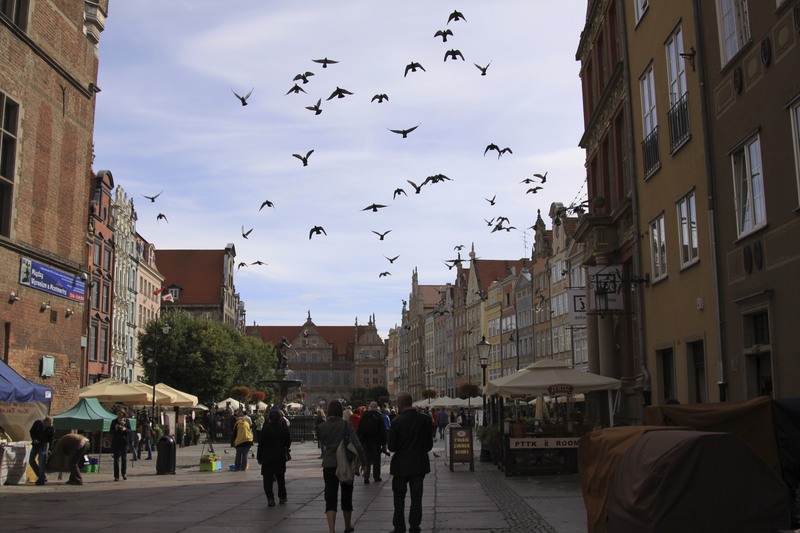 We had a very interesting visit to Gdansk, Poland yesterday. Lech Walesa is still inspirational — it’s not hard to see how he could unite people. Tomorrow is our last full day on the ship — we can’t believe how fast the days are passing. Glad we have a couple days in Copenhagen before going back to New York. This entry was posted on Sunday, September 19th, 2010 at 7:30 pm	and posted in Uncategorized. You can follow any responses to this entry through the RSS 2.0 feed.